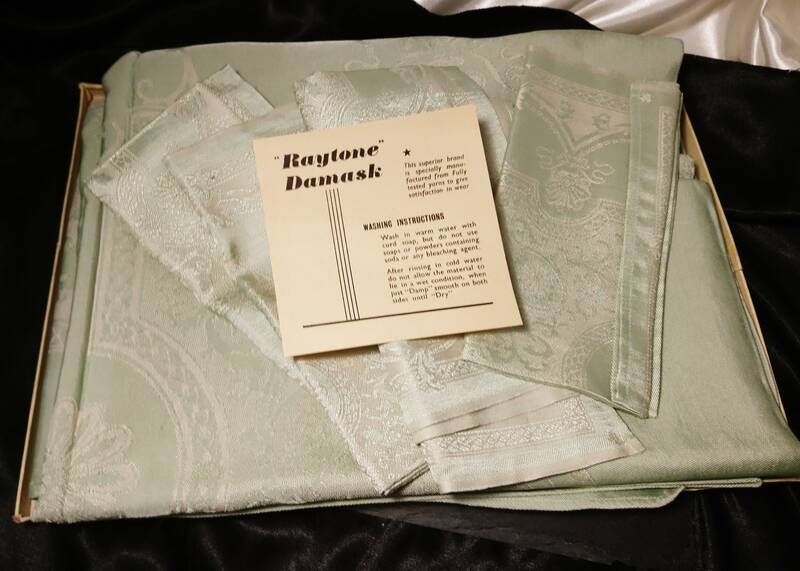 A beautiful vintage linen set, made in Ireland from rayon and Egyptian cotton.. 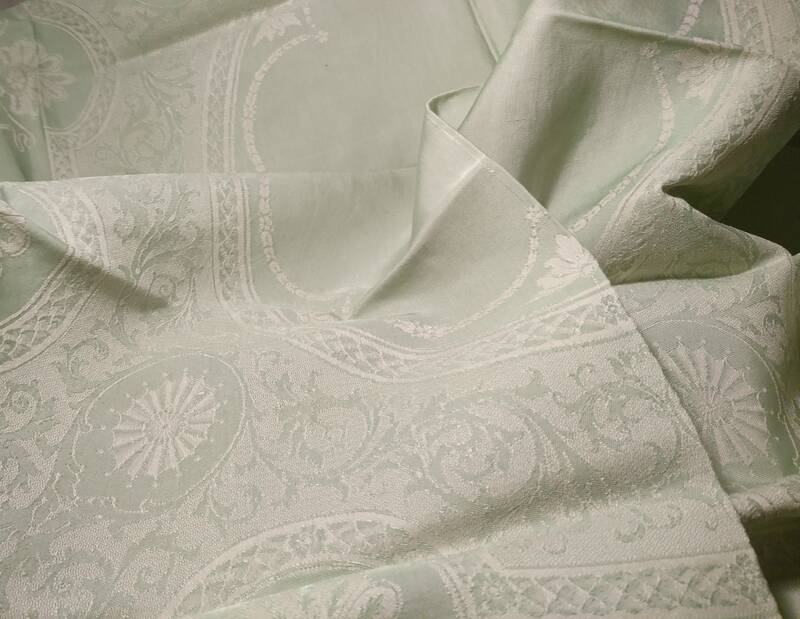 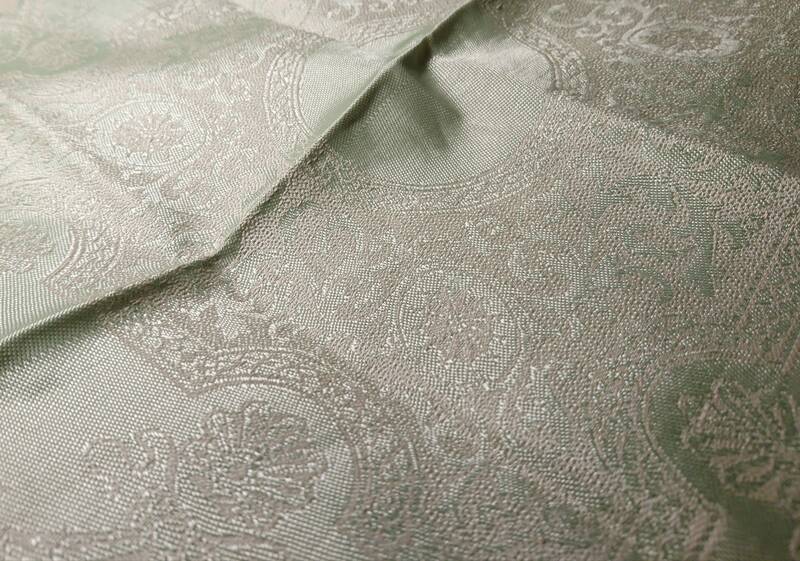 It is a mint green damask with off white undertones and detailing, the colour is mostly like the second picture. 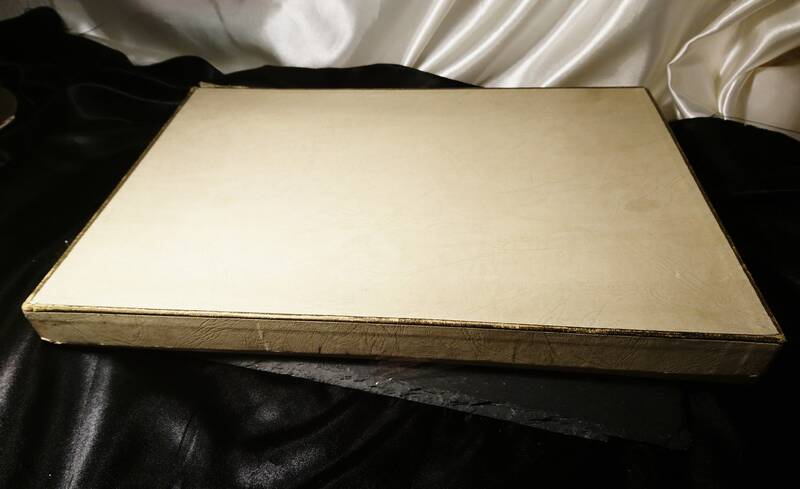 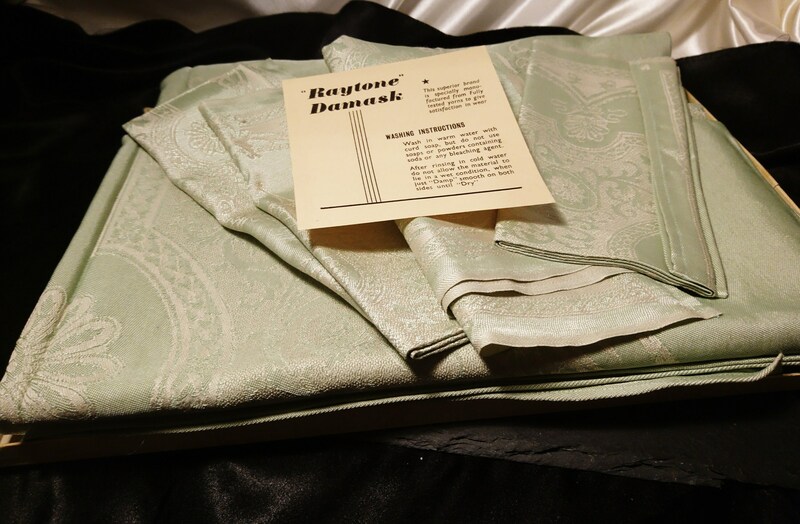 Very pretty set in a nice heavy fabric, it is boxed with the original pamphlet which calls the fabric mix Raytone Damask. 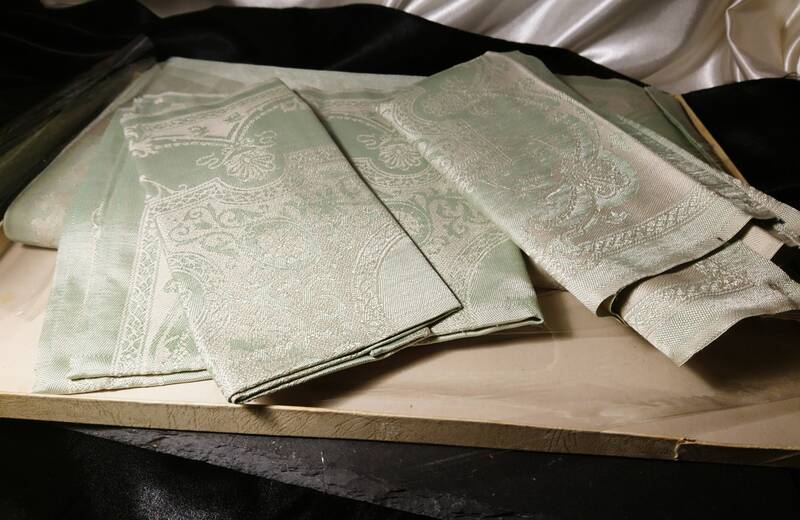 There are 4 large napkins and a table cloth. 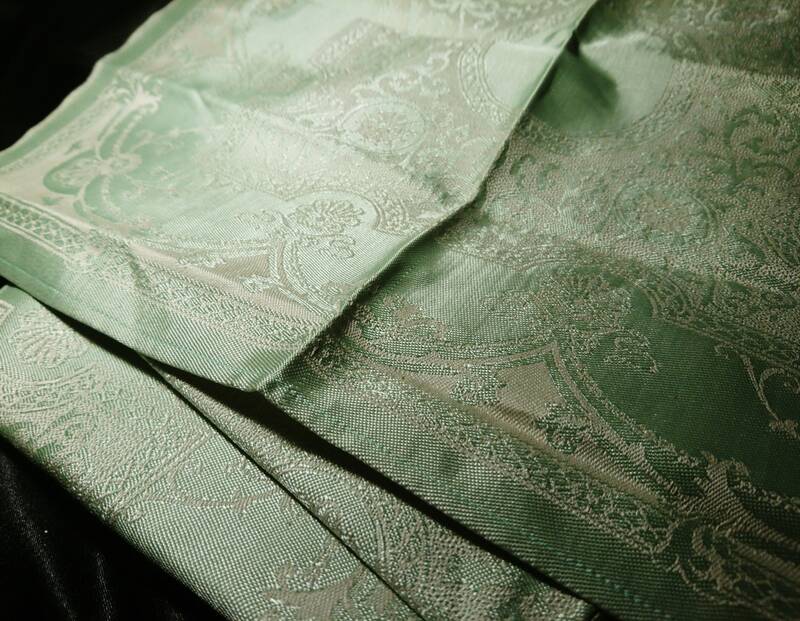 The napkins are 14" x 14"
The tablecloth is 50" x 47"